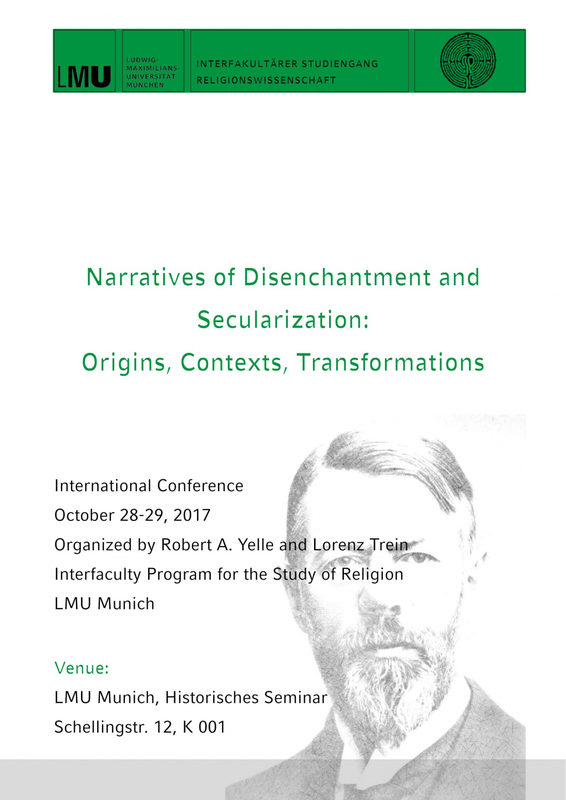 From 28 to 29 October 2017 the international conference "Narratives of Disenchantment and Secularization: Origins, Contexts, Transformations" will take place at LMU Munich. Among others our prospective fellow Jason Josephson-Storm and our director Monika Wohlrab-Sahr will present papers at the conference. The keynote will be held by Jonathan Israel. Whereas concepts of secularization and disenchantment have been central elements of modernization theories for decades, in the meantime they seem to be widely discredited, especially when they are used to make sense of non-European developments. Diagnoses of secularization have been demystified as “myths” of modernity, and concepts as well as instititions of secularism have been discredited as – often violent – Western impositions to the non-Western world. Not only their political imposition, it is argued in these counter narratives, but also the narratives of secularization and the conceptual divide between the secular and the religious as such, are alien to the worlds to which they have been imposed. The paper takes a closer look at central strands of this critique, espe cially with regard to the Islamicate world and to India. The thesis is that parts of this critique implicitly or explicitly employ concepts of wholeness and totality that are juxtaposed to the divisive nature of secularisation and secularism. This resonates with early – e.g. Romantic – critiques of secularization in the European history. It leads, it is argued, against the very intentions of the critics, to an “othering” of the non-European world. And it leaves the question for the existence of distinctions and differentiations between the religious and the non-religious in this part of the world chronically unanswered.